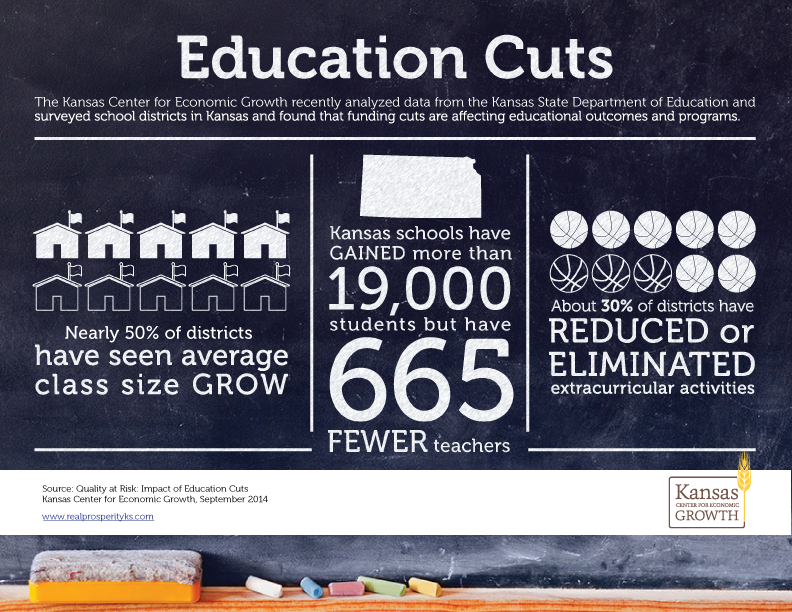 "Quality at Risk: Impact of Education Cuts", as posted on Kansas Center for Economic Growth website. "Kansas’ public schools are struggling with crowded classrooms, fewer teachers and other challenges after seeing their state funding cut repeatedly since the recession in 2009 -- with no relief in sight because of ongoing, scheduled tax cuts." 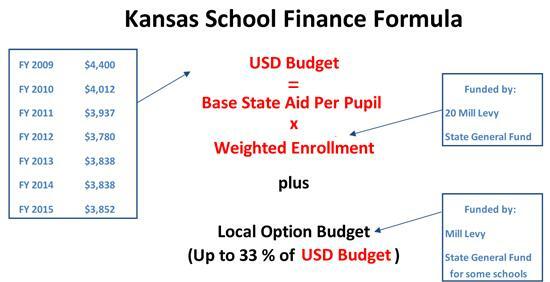 "Woe to Education Finance", by Duane Goossen as posted on The Kansas Budget on 8/11/14. improvement by establishing and maintaining public schools"
general supervision of public schools"
educational interests of the state." schools is a function of the legislature. Kansas State Library - http://www.kslib.info/government-information/kansas-information/kansas-constitution/article-six-education.html. To view this two page document in larger screen format, click on the rectangle symbol in the lower right hand corner of the frame. Kansas ranks 3rd worst in the nation in terms of cuts to per-student funding and 4th worst in the Nation in terms of cuts to spending per student. 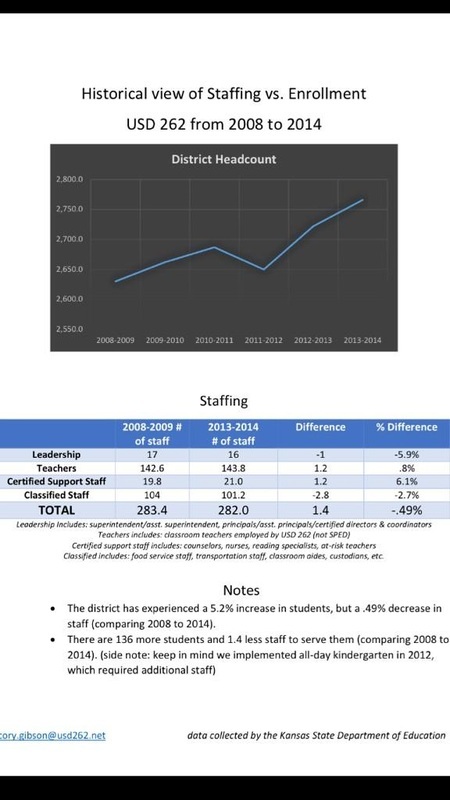 CLICK HERE to read September 12, 2013 article from "Center on Budget and Policy Priorities"
It's important to be discerning when evaluating the credibility of statistics presented by organizations publishing data regarding public school funding. CLICK HERE to view "Bikini Statistics and the Kansas Policy Institute" as posted on YouTube in 2012. "Eagle editorial: Why the difference on school funding?" CLICK HERE to read the Editorial, as published in The Wichita Eagle on January 30, 2014.